Was Richmond's Darwin experiment a mistake? 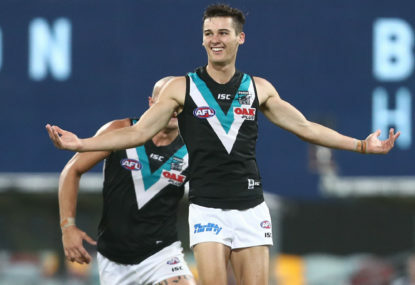 While most AFL fans marvelled at the sparkling new Metricon Stadium on Saturday night, another match with far less publicity was being played 3,500 kilometres north-west of Carrara between Richmond and Port Adelaide. Unlike the Gold Coast-Geelong clash, the Darwin game didn’t have the glitz of a virgin venue. Nor did it have a glamorous sub-plot of a champion midfielder – the game’s protagonist – playing against his former club for the first time. But what unfolded in Marrara was just as significant. In farcical scenes, two of the stadium’s light towers blew out, almost forcing the match to be delayed. Then the AFL was criticised for playing a match in energy-sapping conditions and poor facilities for players. However the night’s biggest loser wasn’t the AFL or TIO Stadium. 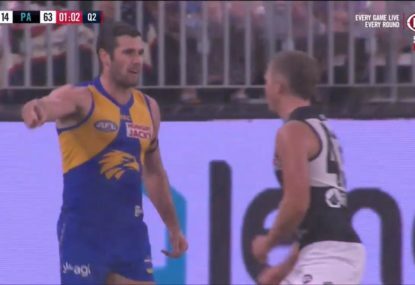 It was the Tigers – the team that finished 16 points behind on the scoreboard when the final siren sounded. It was Richmond’s ‘home’ game, even though the ground was 3700 kilometres north-west of the MCG – its normal home ground. In 2010, the Tigers signed a contract to host one game during 2011 and 2012 in Darwin. The two-year deal meant an $1 million – $500,000 for each game – would go into the club’s piggy bank. Handy money, right? But has selling a home game to Darwin cost the Tigers dearly? Will it cost them a place in the top eight? Should they have stayed in Melbourne and increased their likelihood of a win? 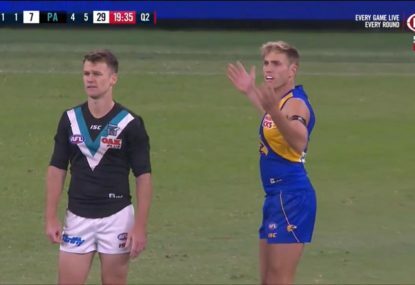 Analysing the two teams’ form and respective ladder positions before the start of the game, the Tigers were expected to defeat Port Adelaide comfortably. They sat in ninth spot and had won four of their past five games. Conversely, the miserable Power sat on the bottom of the ladder with just one win from its first nine games. The boys in yellow and black led by nine points at half-time and, despite their scrappy first 60 minutes, were expected to run all over the league’s bottom-placed team in the second half. 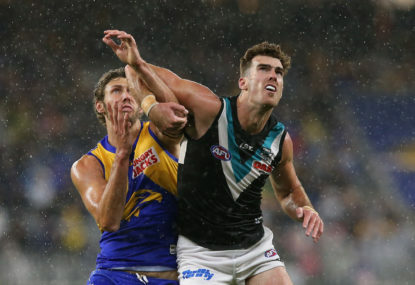 Instead, Richmond left TIO Stadium empty-handed, largely thanks to a lethargic second-half effort, but also due to the players’ unfamiliarity of the surroundings. Saturday night’s match was the first time the Tigers had ever played in Darwin, whereas the Power had played there seven times before. Yes, the Tigers should’ve beaten their opponents no matter where and when the game was played. But it’s extremely difficult for a young side to travel three hours north into the unknown and beat a team who has been to the unknown before. And the Tigers only had themselves to blame. There’s little doubt if Richmond had played Port Adelaide at the MCG or Etihad Stadium, they would’ve won – easily. The Tigers would’ve been far more comfortable in their familiar Melbourne surroundings. They also would’ve had over 30,000 passionate fans attend the match, which always spurs them on because they are a team who often plays on emotion. But the club chose money. Some will say the trip to Darwin was all worth it. That extra $500,000 earned on Saturday night will now go into recruiting, medical management and, most importantly, the football department. 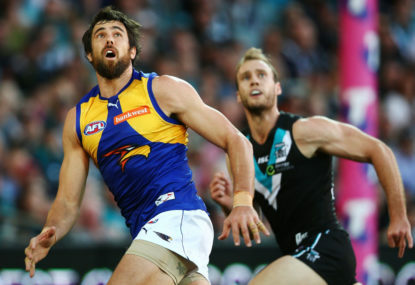 If a club doesn’t have a first-class football department with adequate player facilities and medical resources, it’s very tough for it to win a premiership. Today, players and coaches are well aware of the importance of the commercial side of footy, in terms of a club’s functionality. Richmond would be as well aware as any other club in the league, after its recent ‘Fighting Tiger Fund’ successfully raised $2.5 million – $125,000 coming directly from the players. However, the cost of missing the top eight shouldn’t be dismissed here. If it makes the finals at the end of the season, Richmond will receive a bonus payment from the AFL, which could be enough to pay for the football department itself. That’s a big if though. Some will say the loss was just a case of a young Tigers side that were severely underprepared. It was fascinating to watch the Richmond players during the week leading up to the Power match. 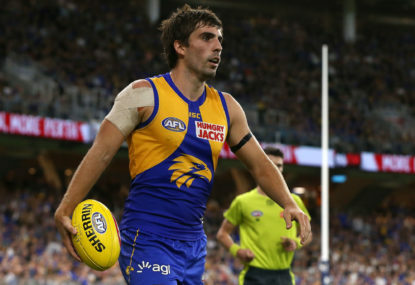 They seemed to be in a reflective mood, basking in the limelight over their inspiring win over in-form Essendon the previous weekend, rather than looking forward to Round 10. This probably should’ve been addressed by the coaching staff and board. When the Tigers stepped out onto the field on Saturday night, they obviously weren’t in the right frame of mind. Whether they were still thinking about the previous weekend, or underdone because they hadn’t had a chance to acclimatise to the weather, something certainly wasn’t right. And it showed on the scoreboard. We mustn’t forget Richmond is one of the youngest teams on average age. Little shock losses like Saturday night are part of the development of the footy club. Let’s not take much away from the Power though, who seemed far more prepared for the match. They arrived in Darwin on Wednesday, trained on Thursday during match time, and wore gloves to help them grip the footy. They knew what to expect and prepared adequately for that. And now if the Tigers miss out on a finals spot, selling a ‘home’ game to the Northern Territory could come at a major cost.